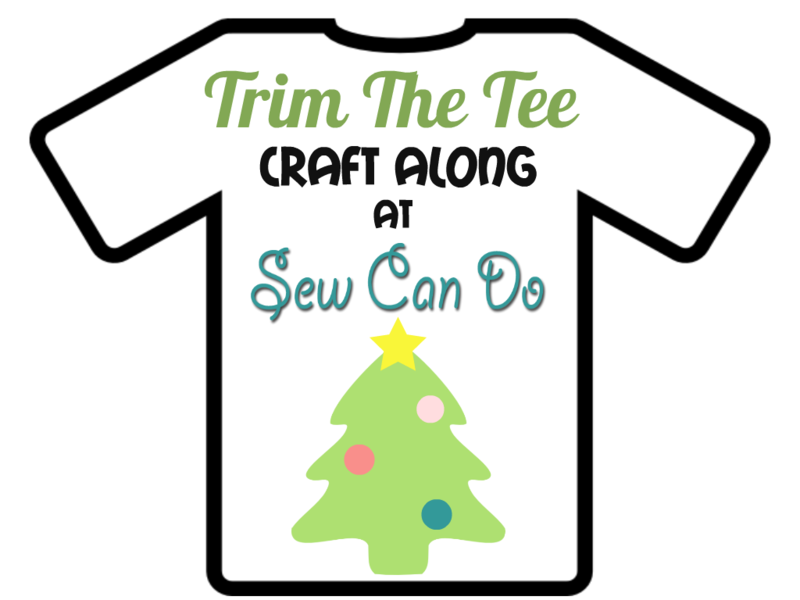 Today is the first installment of a new Sew Can Do Craft Along for the month of December: Trim The Tee. 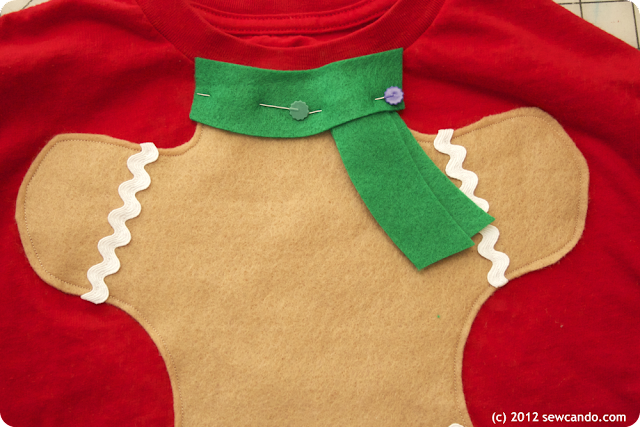 Each week I'll have a new how-to for holiday decorating a plain t-shirt, using basic supplies & skills. Today I'm sharing how to make a whimsical Gingerbread Man shirt, complete with "icing" details, "candy" buttons and a "frosting" scarf. The wearer's face is what makes it come to life! And by using felt there's no need to worry about hems or edges or using stabilizer. It's fast & fun, so grab the Trim The Tee button off the sidebar and let's get started! 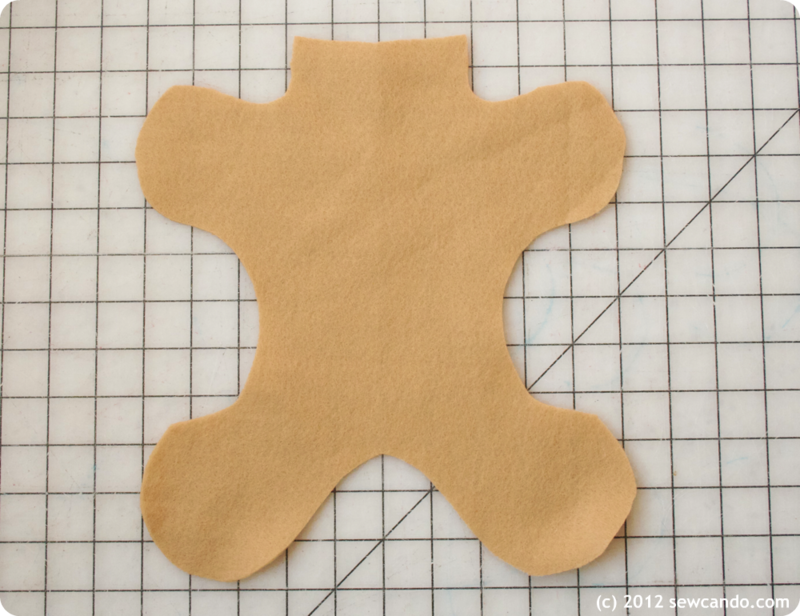 First draw or trace a gingerbread body (including neck) on paper. I freehanded mine and then folded it in half so it would be nice and symmetrical. Then I pinned it onto the folded felt & cut. 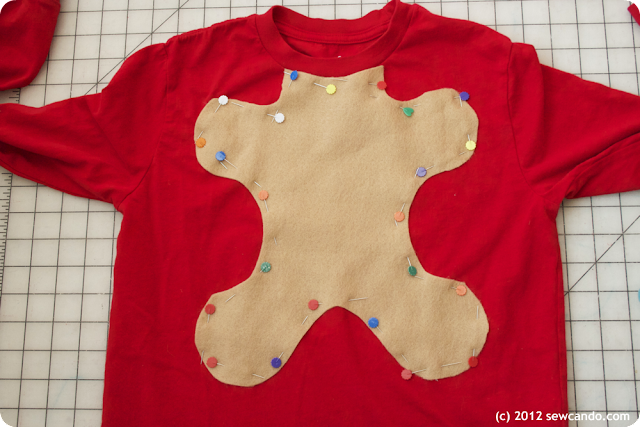 Pin the felt body to the front of the shirt. 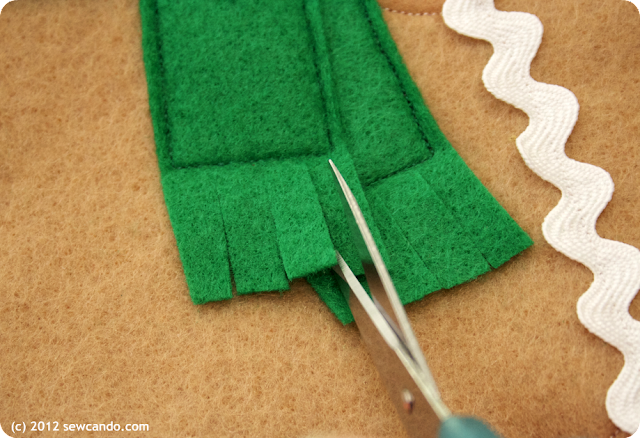 It's best to use lots of pins so the felt won't shift when sewing onto the knit fabric. 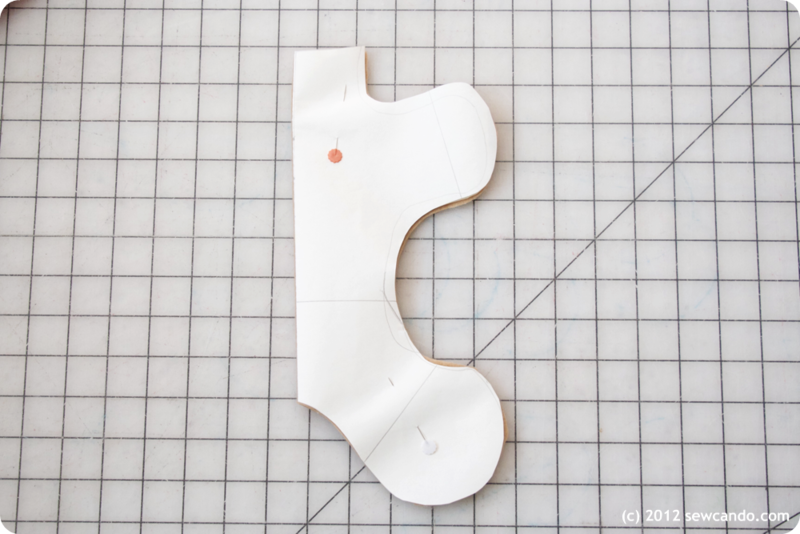 Sew slowly to keep from accidentally sewing any folds of the shirt together. 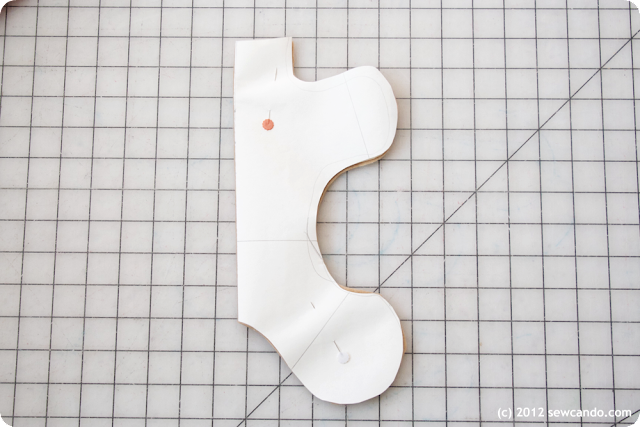 Stitch the body onto the shirt 1/8 inch from the raw edge. 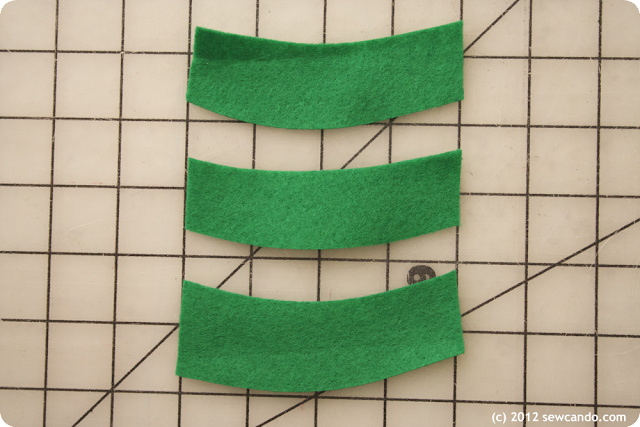 Cut the rick rack for the arms and waist. Either fold the cut edges under or fuse them by running a lighter underneath to prevent fraying. Pin and stitch along the center of the rick rack. 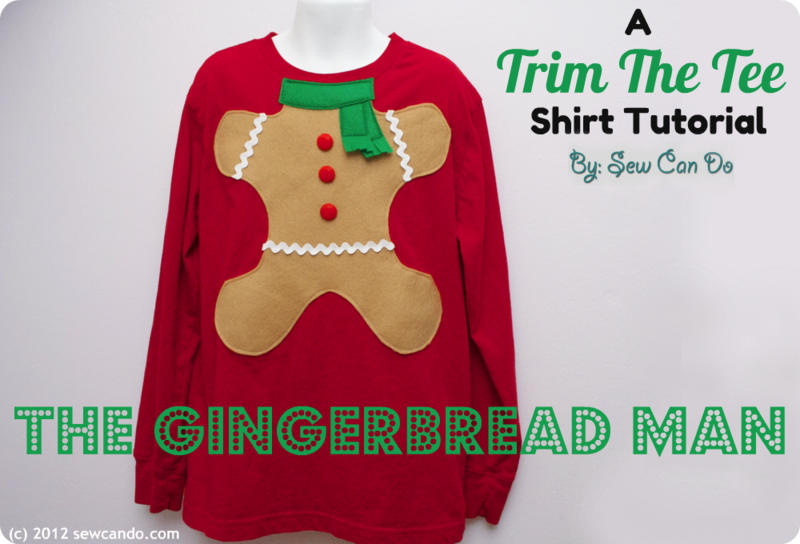 Stop by next Tuesday for the next Trim The Tee Craft Along with a snowflake theme! You should - it's so fast to do. I already had all the supplies sitting around the house - you probably do too! That's so fun. What a fantastic idea! This is adorable! Such a cute idea for a holiday photo! Thanks Lisa - next year I've got to get going early so I can use them for our card. This is absolutely adorable, and a great design! You have a very handsome model for the shirt too! Thanks so much Anita. I'm very proud of both:) He will be thrilled to hear that! Exactly! I kept searching for cute shirts and was coming up empty, so the Trim The Tee series was born! Stop by every Wednesday this month for a new shirt idea! That's just the cutest shirt!! LOVE THAT!! I'm so glad you shared it with us this week for Pearls and Lace Thursday! Awwww that's just too adorable!!! What a cute idea! This is adorable! I want to make some for my twin nephews. Thanks for the great tutorial! 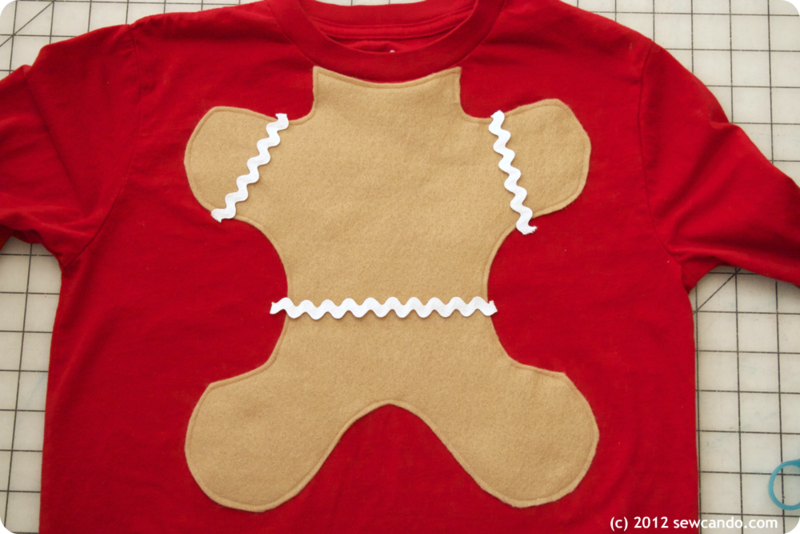 Double gingerbread man trouble - love that! So cute! What a great idea! Thanks for sharing- I found you over at The Bowdabra Blog Saturday Showcase. Cute idea, and great tutorial. That has to be one of the cutest christmas shirts I've seen! Thanks so much Mel - that's a huge compliment! oh my gosh how fun is that!! This is such a cute tshirt. My nephew would love this. Thanks so much for sharing at Wednesday's Adorned From Above Blog Hop. This weeks party is live. I hope to see you there. so adorable with the head popping out! This is too cute! 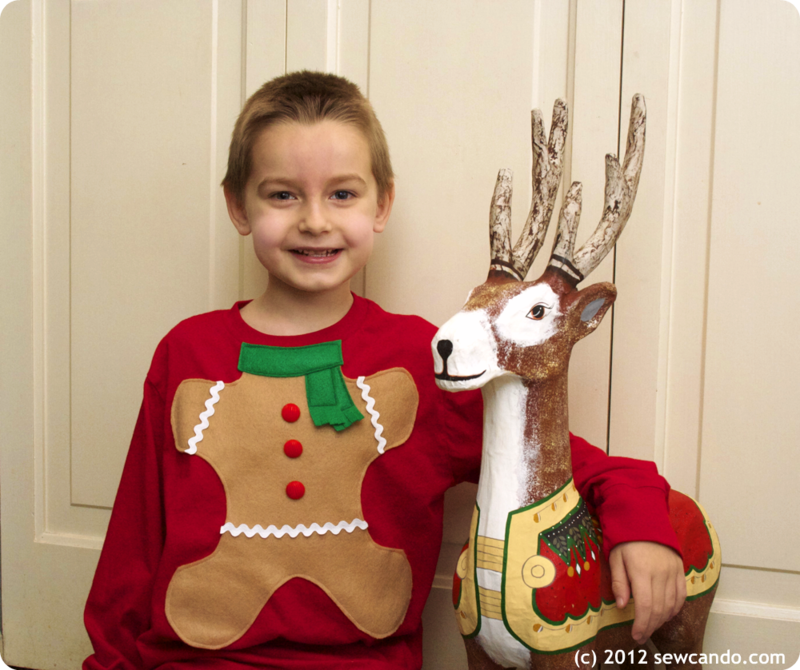 Thank you so much for linking up to our Holiday Happenings party. Hope you have a wonderful holiday season.